711 Redwood Avenue Anderson, SC. | MLS# 20210022 | Lake Hartwell real estate homes and lots for sale. Real estate agents offering expert knowledge of Lake Hartwell. Licensed in both South Carolina and Georgia to sell Lake Hartwell Property. Anderson, Clemson, Lavonia, Hartwell, Seneca, Toccoa, Martin. Great Rental property, good rental history- established tenants- good rental income. Rent rolls available upon request. Current rent $600 month. 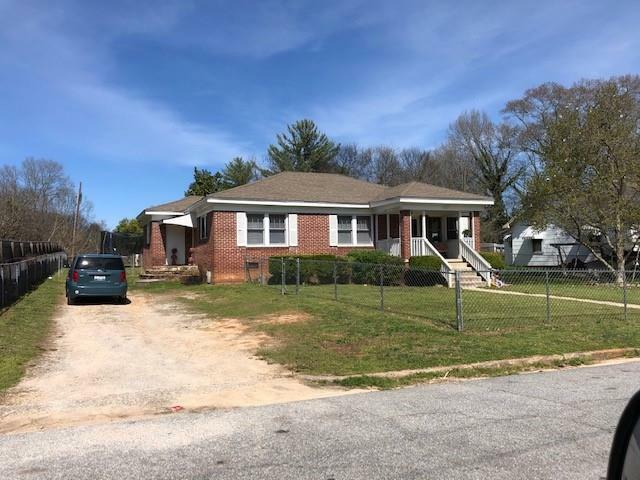 Brick home with a large fenced yard, wood and tile flooring, dining room, kitchen with granite counters, appliances, washer and dryer connection. Central electric heat and air.